This summer, I'm trying to get as much beach time in as possible and whenever I'm at the beach I love to have fun, like most people. I'm all about a good game of frisbee, building sand castles, and just embracing the time spent with my friends and family, or even sometimes just soaking up the sun and reading a book by myself. Anytime spent soaking up the sun, in my book, is time well spent. Although I'm a beachy girl, I suppose you could say I'm a high maintenance beach go-er as well. 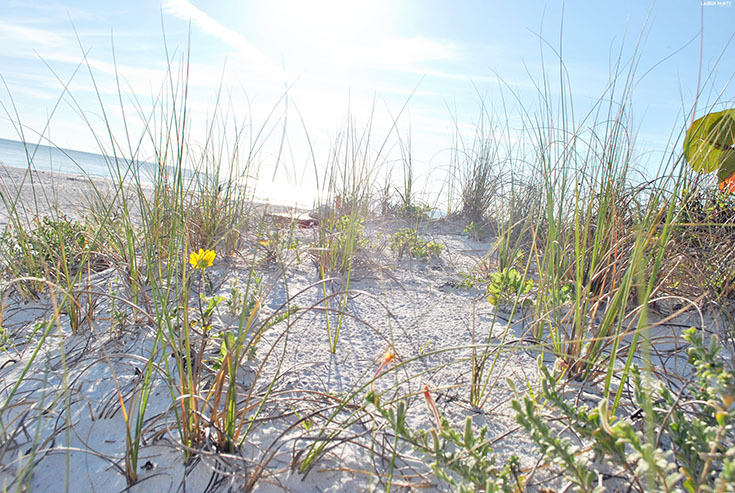 I'm the type to bring everything from a good book, a sheet to lay out on, a couple of chairs, a cooler, a shovel to help plant my umbrella in the sand, and a handful of other useful and important items... my favorite part of my beach loot, is anything but high maintenance though! My beverage of choice is delicious, right out of the can, and the absolute best way to unwind a little while watching the waves roll in. 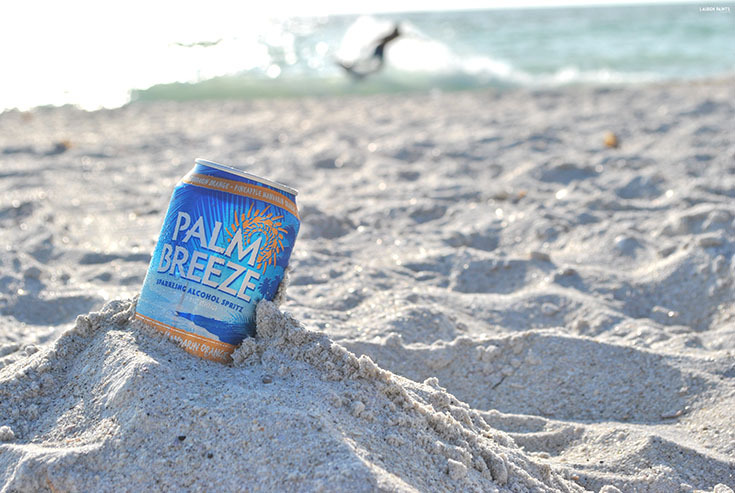 Palm Breeze is the best tropical beverage to enjoy on the beach, that's why I like to call it fun & sun in a can! 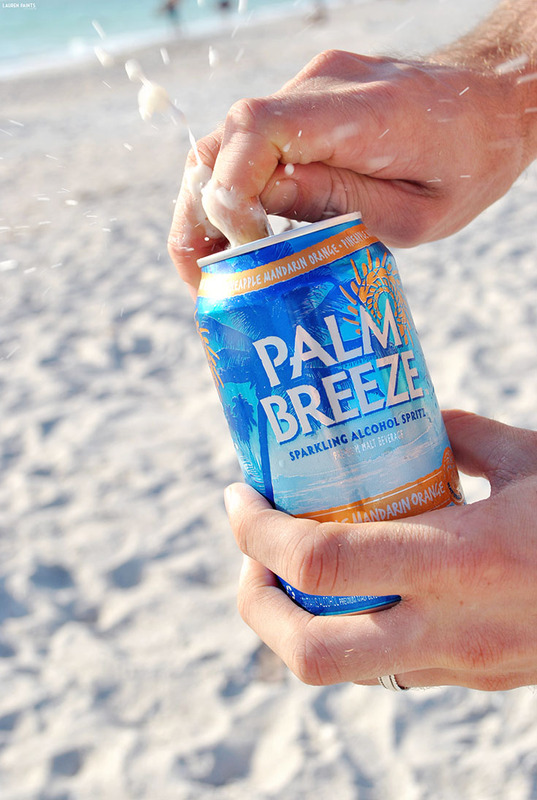 Maybe you haven't heard of Palm Breeze yet? 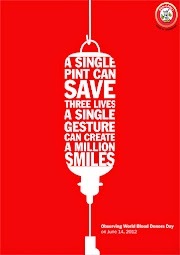 It's a malt beverage, similar to a beer, but better! It's the first product of it's kind made specifically for women. The flavors are just fruity enough to make you smile, but not overwhelmingly sweet... Perfect! 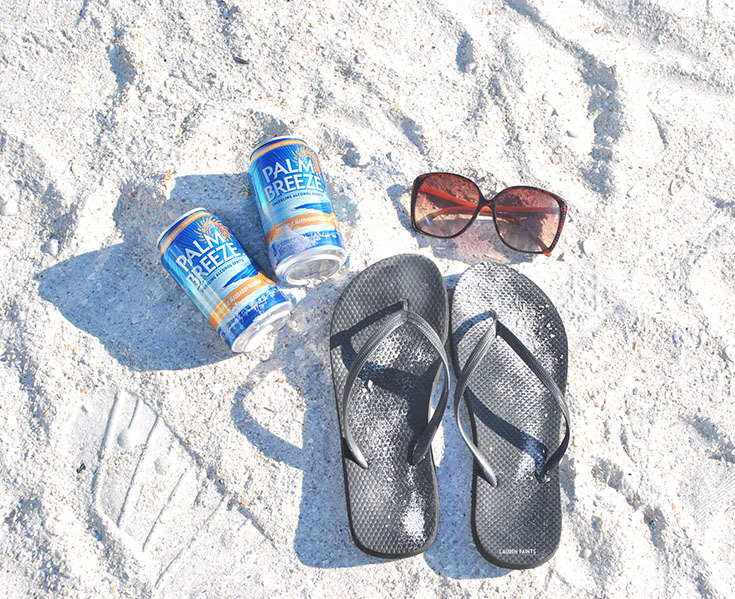 Think of all the girly drinks you order while on vacation, Palm Breeze is the girly beer version of those tasty, tropical beverages! 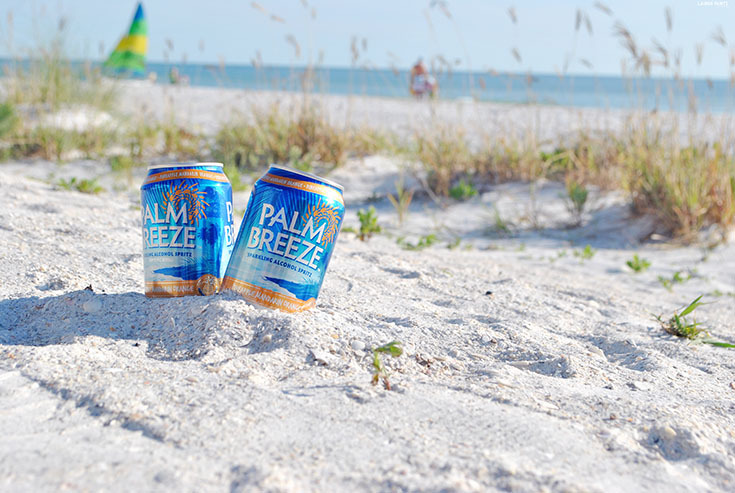 I love that Palm Breeze comes in two delicious, tropical flavors, Ruby Red Citrus and Pineapple Mandarin Orange; both of which are superb! The flavors of these drinks remind me of sitting on a beach, even whenever I open one at home; there's just something about Palm Breeze! You'll have to try it for yourself to see what I mean! With a Palm Breeze in hand this summer, I'm ready to absorb as much Vitamin D as possible. I suppose you could say it has become a regular part of spending a day at the beach for me. 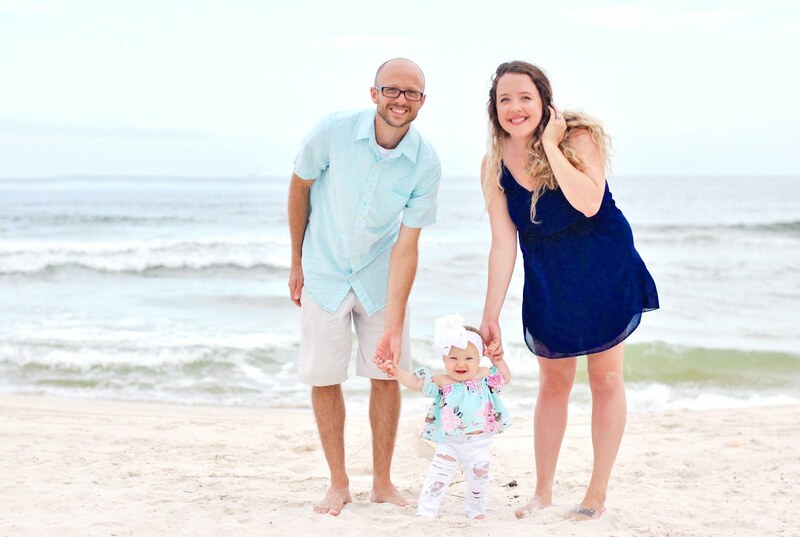 So whether you are planning a trip to the lake, hosting a big BBQ get together, or just craving something girly and delicious, I say you give Palm Breeze a try and make everyday a beach day!